Just in time for the official market release. Volvo’s newly redesigned and revamped V40 is about to hit the global market and German tuning company, Heico Sportiv, has unveiled their new upgrade program for the new hatchback to coincide with the release. 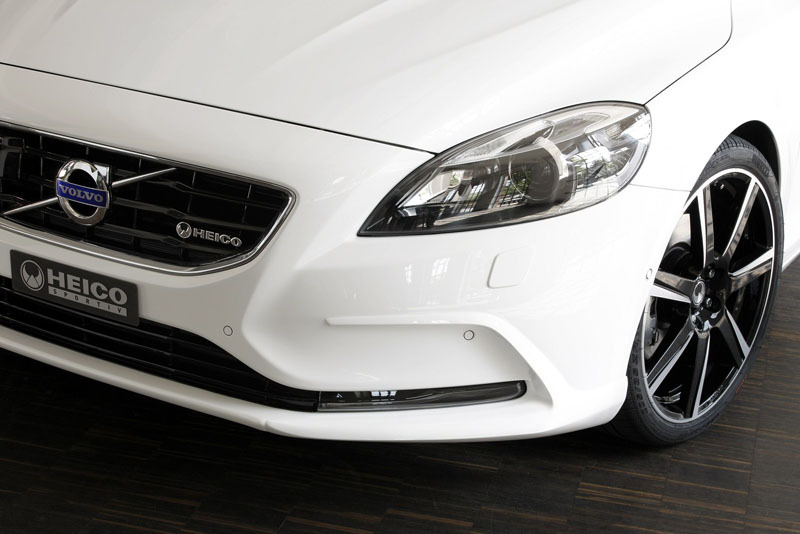 The new V40 tuning program is backed by full TÜV approval and a 60 day warranty by Heico Sportiv, the official vehicle-individualization partner of Volvo Car Germany GmbH, Volvo Automobile (Schweiz) AG, and Volvo Car Overseas Corporation. 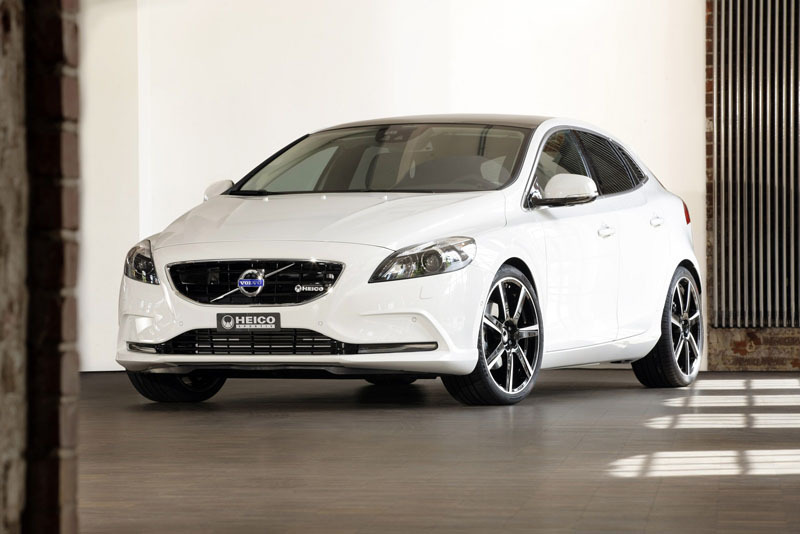 The new upgrade package will include power tuning for the entire range diesel and gasoline engines set to be offered in the Volvo V40. The D2, D3, and D4 diesel engines will benefit from the new e.motion power upgrade that uses a second, separate engine control unit that works in conjunction with the stock unit to increase power and performance. In the D4 five-cylinder diesel engine, the e.motion V40 tuning upgrade pushes output to 195 horsepower and 354 lb-ft. of torque, up from the standard 177 horsepower and 295 lb-ft. of torque, while also lowering the 0-62 mph time by a full second and upping the top speed by 10 km/h (approx. 6 mph). The other T3, T4, and T5 turbocharged, direct injection gasoline engines offered in the Volvo V40 models will also receive a new ECU upgrade that will be unveiled at a later date. 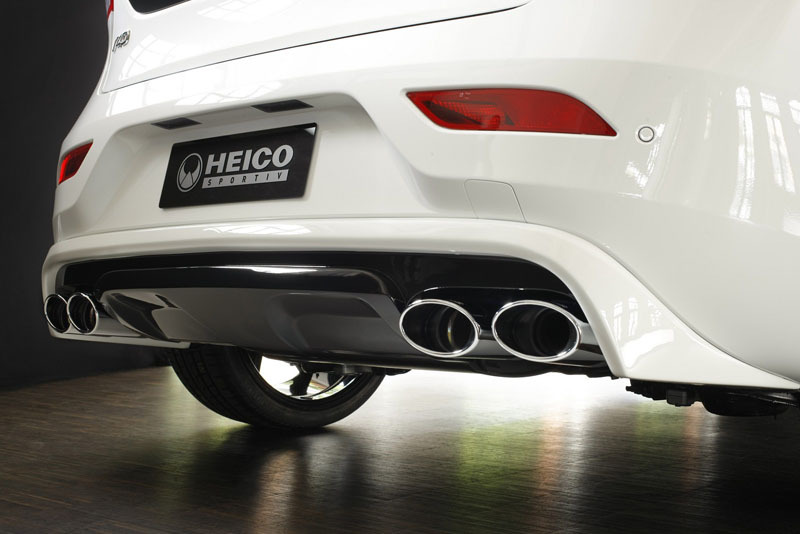 All available engines can be mated with a new Heico Sportiv stainless steel quad exhaust system with 120 x 74 mm pipes with a black inside and chrome exterior with the Heico Sportiv logo. 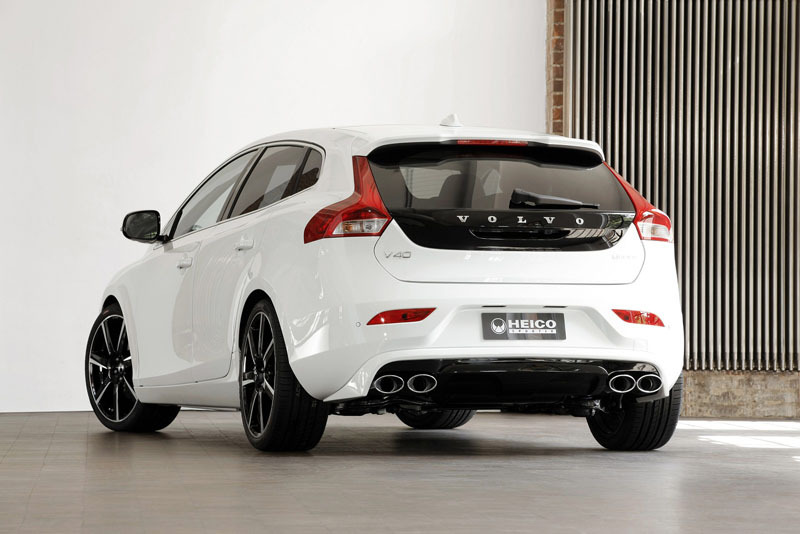 Heico Sportiv took a holistic approach to the new Volvo V40 tuning program focusing not just on the numerous engine offerings, but also the overall design as well. The team designed and fitted a new front spoiler that accentuates the design of the headlights and daytime running lights while also improve aerodynamics. The PUR-R-RIM spoiler can be easily installed on the standard bodywork and preserves all of the factory safety features. The rear wears a new PUR-R-RIM skirt that integrates the quad exhaust outlets and features a diffuser-like design for improved aerodynamics. Just like the front spoiler, the rear skirt can be easily installed on the stock bumper. 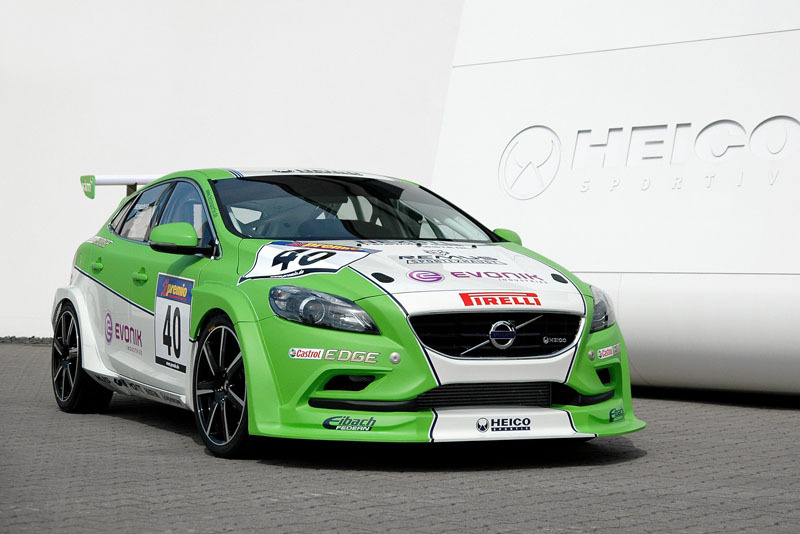 The Heico Sportiv V40 tuning program also focuses on the chassis and interior. The German company has three different Volution wheels in an 8.0 x 18 and 9.0 x 18 inch sizes with V, VII, and X designs in Bright Silver, Black, and Graphite Matte finishes. The wheels can be fitted in conjunction with a set of lowering springs that reduce the center of gravity by 30 mm for better handling characteristics. 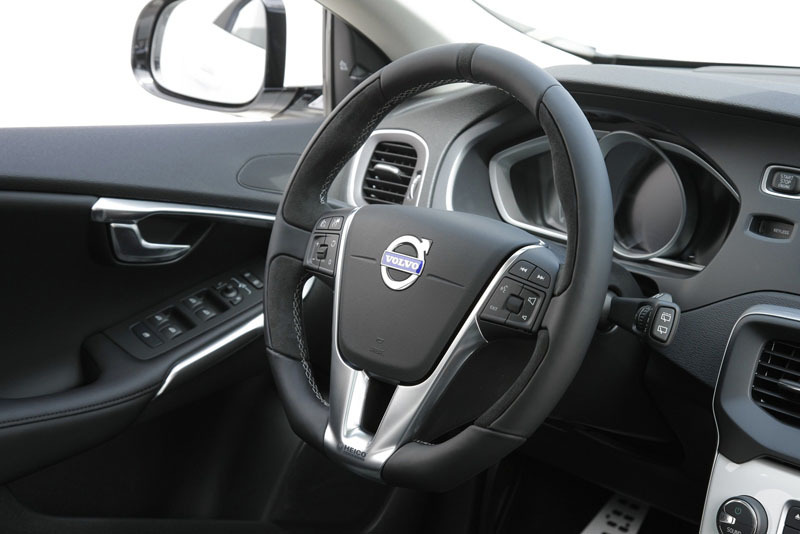 The finishing touch is a range of interior accessories such as a new sports steering wheel with better overall grip. 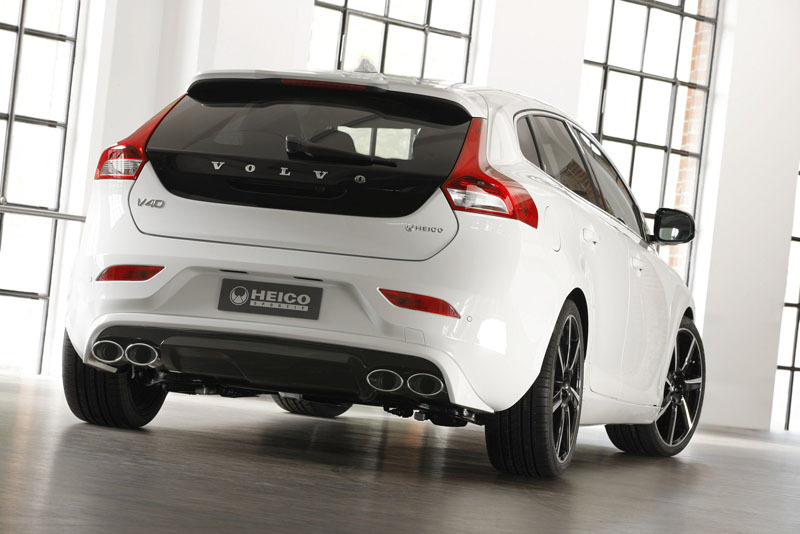 The new Heico Sportiv Volvo V40 tuning program will be available in Germany, Switzerland, and the network of dealers around the world when then new Volvo V40 is introduced. The upgrades will come standard with a 60 month warranty and TÜV technical appraisal. Pricing for the entire package or individual upgrades has not been released. Wheels: Heico Sportiv Volution in V, VII, and X designs with Bright Silver, Black, and Graphite Matte finishes. 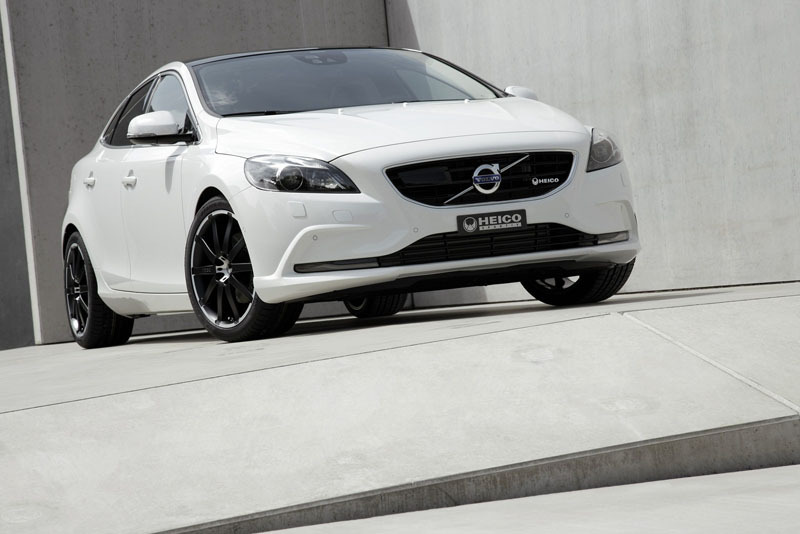 What do you think of the power output and design of the new Heico Sportiv Volvo V40? Leave a comment and let us know!